Jordanian mezze. Picture: Huda Aziz. As many who know me can attest I’m a foodie. I can be at peace anywhere in the world if I have coffee, delicious food and wifi. I’d like to share some gems that I’ve discovered so far in my first few days in Amman (thanks to the recommendations of fellow intrepid travellers). The go-to place for locals and starving students wanting to eat on the cheap. 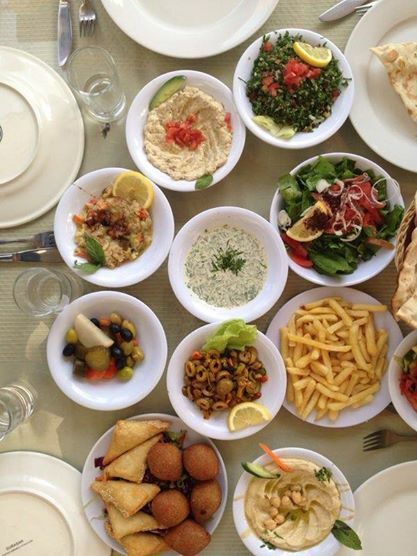 Hashem is a no-nonsense vegetarian restaurant in downtown Amman where it’s all about the food. The décor is sparse and the food – simple, hearty unadorned bowls of bliss. We ordered fresh hommous, fuul, pita, salad and the most crunchy and sublimely soft melt-in-your mouth falafels, swallowed down with some sugary mint tea. You need to order in Arabic and quickly as this place is packed! The best part about Hashem is the price- the bill amounted to about 6JD for the four of us ($AUS9). Yep, that’s what I’m talking about. 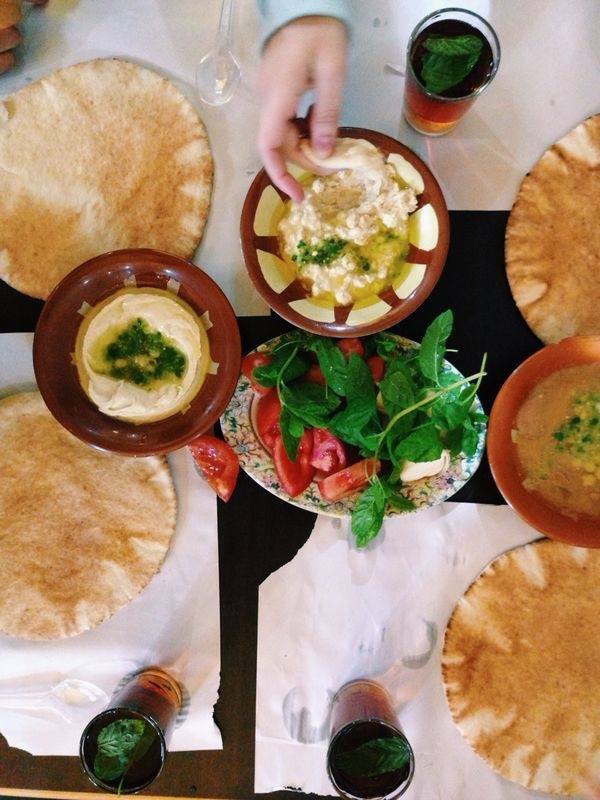 Hommous, pita, falafel, fuul (bean dip) and salad at Hashem restaurant. Picture: Huda Aziz. Also in downtown Amman, this funky restaurant features a library, paintings, antiques and quotes from famous Arab activists, writers and poets including Mahmoud Darwiche and Edward Said as well as a balcony view where you can people-watch. Be careful to go upstairs from the alley into Jafra not into a restaurant looking area on the ground floor which is ahem actually a men’s bath area. 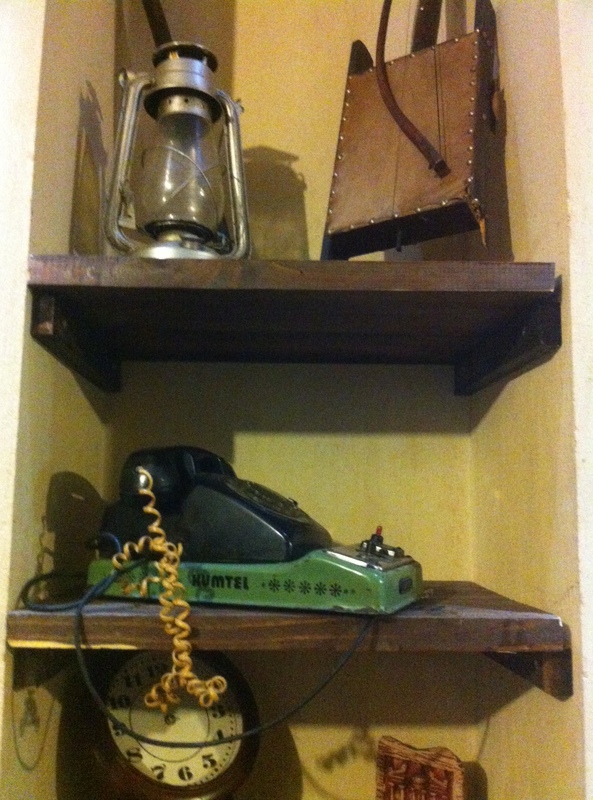 Spiral dial phone and other funky antiques at Jafra cafe. 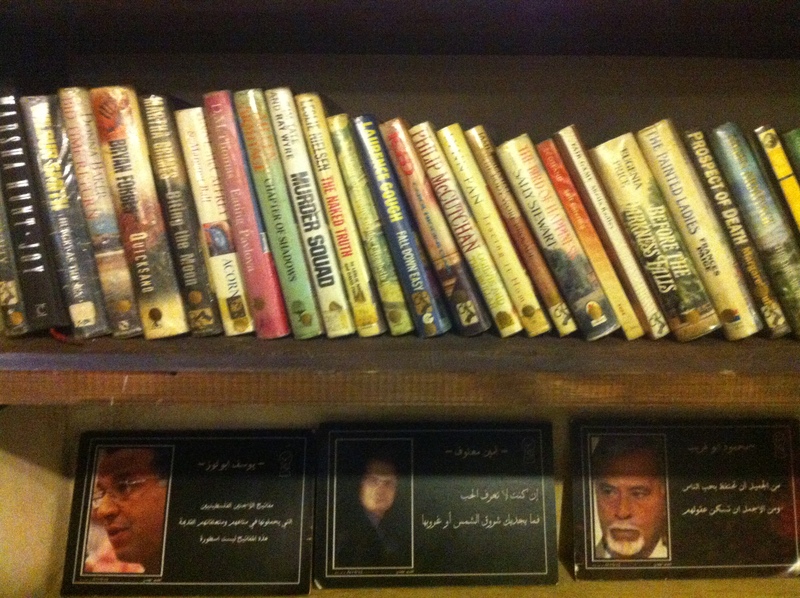 Books and quotes at Jafra cafe. You can smoke an arghileh here or munch on some delicious Arab or western style food. 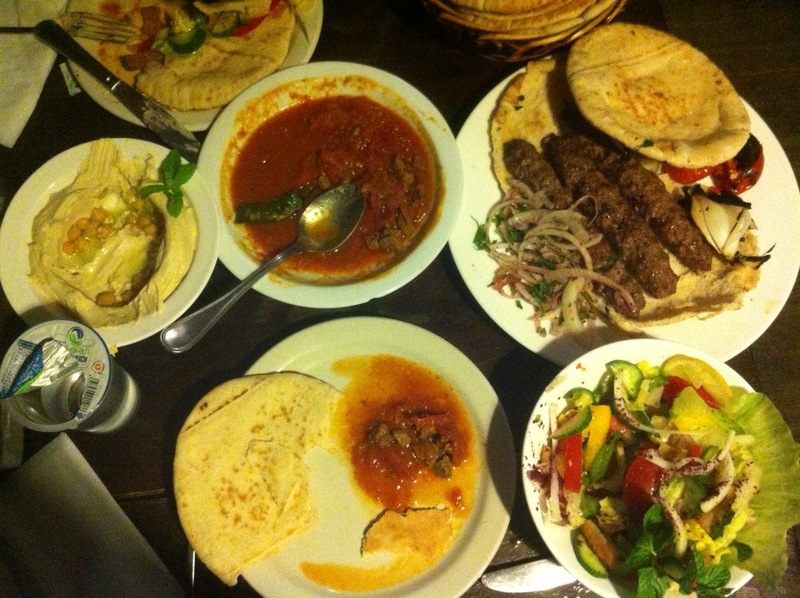 We ate a sublime selection of hommous, fattoush salad, shish kebab, fresh pita and meatballs in tomato sauce. It’s popular with foreigners and the waiters speak English. It’s not as cheap as Hashem, but the beautifully furnished spacious interior is a great place for large groups and with our bill totalling 13 JD for two ($AUS20), it’s not too much of a hit on the wallet. Fattoush, hommous, shish kebab at Jafra resturant, Amman. 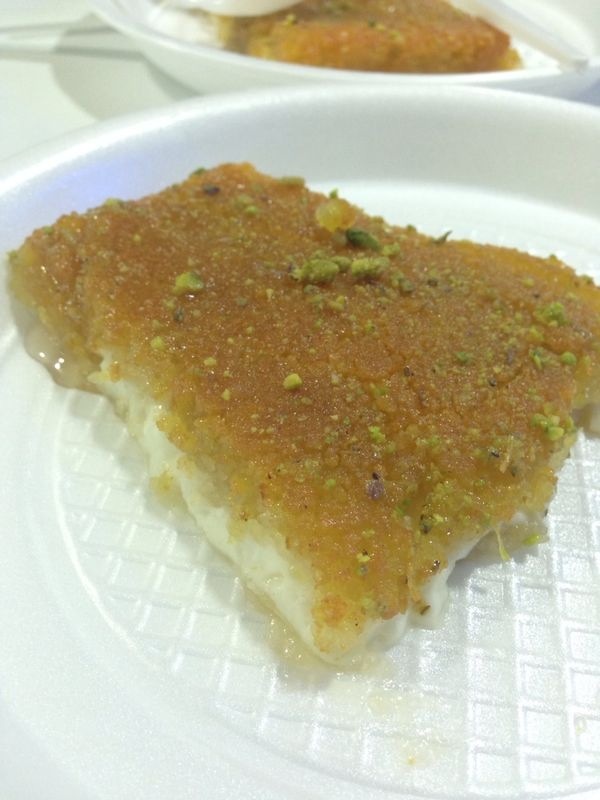 Down the road from Hashem’s is Habiba which sells Amman-famous kanafa (layered cheese and semolina drenched in sugar syrup). It’s sweet and savoury with the salty cheese a soft counterpart to the sweet semolina top. I’m not much of a dessert person but I’m told by connoisseurs the kanafa here is of a pretty high standard. There’s also an upstairs section open to families where large groups can sit. Kanafa from Habiba. Picture: Huda Aziz. A bustling two-storey establishment next door to Habiba where you can ask for an English menu and sample the traditional Jordanian dish- Mansaf, made of lamb cooked in fermented dried yogurt sauce and served with yellow rice (and the yoghurt sauce). We also try some lamb neck which just melts off the bone. They also serve dessert here including a $1 JD rice pudding topped with pistachio. The entire menu doesn’t have anything for more than $7 JD ($AUS10). Across the road you can climb the stairs to check out Darut Al-Funun, an art gallery that regularly features lectures and exhibitions from artists in residence and a second storey library (arts in Amman deserves it’s own post). 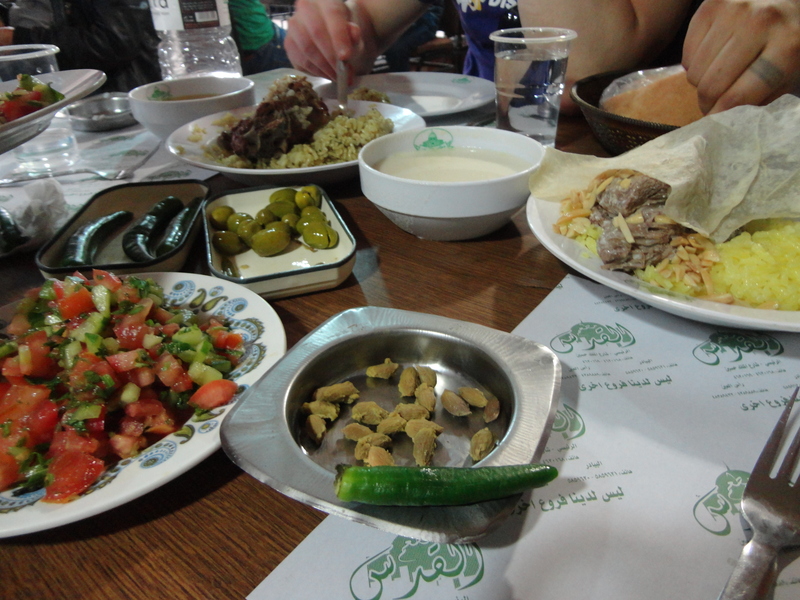 Lamb neck, Mansaf, salad and olives at Al-Quds. After you’ve finished gorging on the amazing food at these restaurants which are within walking distance of each other – don’t forget to check out the nearby downtown markets next to the Grand Husseini mosque (which has a female prayer space). There’s gold, clothing and food souks lit up beautifully at night with low hanging lightbulbs. The food souk is filled with piles of glorious fresh fruit, dates, cheeses and olives. Wandering through the souks in the open air with the shouts of vendors and the intermittent sounds of the Adhan piercing the air is so much more of a joyful experience than passively buying groceries at Carrefour (the local chain). Best thing is you can practice your Arabic conversing with the vendors. Books at café is located in the hipster central expat district on Rainbow street a short uphill walk from central downtown Amman or Jabal Amman (mountain Amman). It’s filled with cafe, eateries, art-house cinema and galleries. At Books at cafe you’ll be greeted with the sultry tunes of Billie Holiday, spectacular second story views of Amman and can even buy a western-style weekend brunch which will take you back around 10 JD (AUS $15). Although this place is more expensive, it’s a safe place to chill for the day, find out about art exhibitions around town, catch up with people, or get your work done while sipping a refreshing mint-lemon drink. It’s a little expat-y and feels a tad formulaic but worth grabbing a coffee, checking the scenery and taking advantage of wifi. Anyway I’m hardly a expert, I’ve been here less than a week. So look forward to updating this section!